As you know, we’ve discussed Facebook’s recent announcement that they are merging Reviews and Recommendations. Over the last few weeks, we saw this roll out on most service pages. When it first rolled out, the rating scale was 1-5. As of last night, we are now seeing this scale expand to 1-10. This has not rolled out to all pages, but it’s showing up on more and more as the day progresses. Additionally, Facebook is testing upvotes and downvotes on comments. This in an effort to support thoughtful comments and discourage off-topic and/or rude comments. This feature pushes engaging and informative comments to the top of the comment thread and moves down ones that include inappropriate language or profanity. 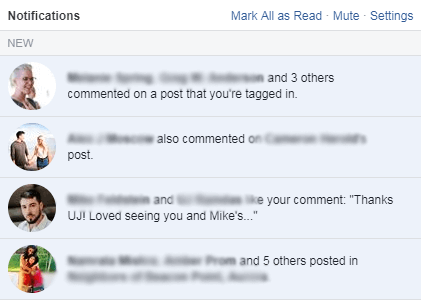 Facebook is also testing the removal of timestamps from notifications. I did a Google search and found zero written about this yet, so it’s likely this is a brand new test that’s rolling out today. It seems to be in an effort to provide simpler, less distracting, updates about your friends and customers. And obviously, to keep you on the platform and scrolling longer since you don’t know how recent the comments/updates are. This year has seen more changes to major platforms like Google and Facebook than recent years combined. You’re busy doing what you’re great at – running your business. If you have questions about what you need to do to stay ahead of your competition, shoot us a message. We are happy to help – this is what we are great at!